Most refractory "solutions" are based on trial-and-error, rules-of-thumb or refractory mythology. This is because few people understand the non-linear properties of the refractory, the thermo-chemical (corrosion) reactions of the refractory/anchor with the process environment and the thermo-mechanical interactions of the refractory and steel shell. Most refractory failures are a result of a complex combination of multiple variables. My unique background as a Ceramic Engineer with experience in refractory product research and development, refractory inspection services, refractory product sales and marketing, refractory installation, refractory engineering and refractory construction provides a comprehensive overview of all aspects of "refractory" and solutions necessary to achieve Value, Quality and Reliability. 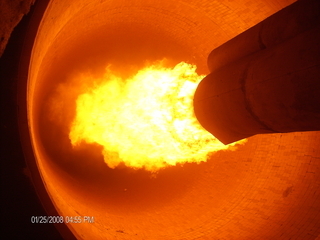 I have researched the combination of thermo-mechanical, thermo-chemical and thermal cycles effects on the micro and marco structure of refractory. As a result I have some unique insights into refractory performance and use it as a useful tool to predict and analyze failures and then incorporate the findings into the final design. I sold Stewart Services in 2009 and have since been a consultant in the non-ferrous industries. During this time I have researched the combination of thermo-mechanical, thermo-chemical and thermal cycles effects on the micro and marco structure of refractory. As a result I have some unique insights into refractory performance and use it as a useful tool to predict and analyze failures and then incorporate the findings into the final design.